Buy All-in-one Brother MFC 5890cn with CISS with CISS and make 30 times more quality prints for the same money! Pay only 0.04 USD for A-4 full color print! This printer is a new-day model which will perfectly fit for your home. It is easy-to-use owing to its comfortable design. Numerous functions proposed by the company manufacturer Brother will make your work even more productive. 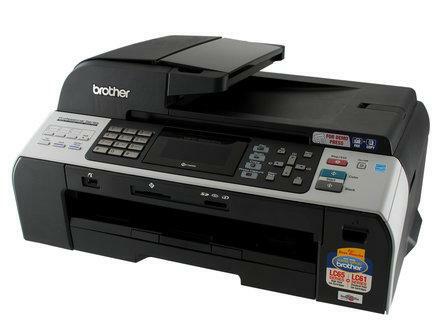 Brother MFC-5890CN printer has an autofeeder and 3,3 inch touch sensitive color LC-display. The autofeeder may enclose up to 50 sheets of paper. The main functions of display are the access to menu functions and preview of pictures directly from memory cards. These features make the model easy-to-use. LC-display is on the front board of the device that is very comfortable. Using it you may perform different operations: to send fax messages, to print, to copy and to scan. The presence of LC-display makes the device similar to its class neighbors such as: Brother MFC-790CW and Brother MFC-J6710DW. The system of the device has a Multi-Card Reader. It is embedded into the device.Brother printer MFC-5890CN works with the speed of maximum 28 pages/min in polychromatic print and 35 pages/min in monochromatic one. The largest resolution of print is 6000 ? 1200 dpi. But unfortunately the printing of pictures leaves much to be desired. It can be explained by deficiency of color half-tints. Besides this the speed of pictures print is lower than the speed of documents printing. Every day we may observe the improvement and updating of computer technologies. Only some years ago we could see large, heavy samples of printing devices. Today they have been quickly improving acknowledging modern comfortable design and a great variety of useful functions which answer the demands of users. These types include XD, SD and other Memory stick type cards. An embedded PictBridge USB-port distinguishes this device from HP Officejet J4580 All-In-One. Multifunctionality is one more advantage of the model. 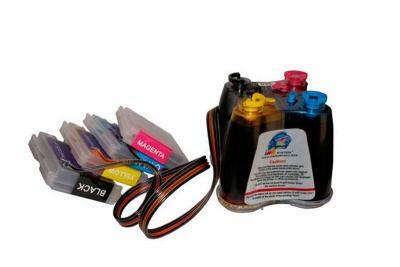 It represents ink-jet printer, a color photoprinter with Wi-Fi connection and the facility of different memory cards reading. Tablet scanner and other autonomic functions of the fax device including HF telephone, a digital autoanswer and copying of pictures are also supervised by Wi-Fi device control. The range of colors in Brother MFC-5890CN wireless inkjet all-in-one printer is neutral except for the blue color which is a little supersaturated in graphic documents. There are numerous color settings which you may choose for various printing cases. If you choose an automatic paper setting you will have different results in photopaper printing. The red color may become a little supersaturated when the range of colors is changed but vibrant pictures will not make you indifferent. Colored prints and too dark shades of violet in photo printing may become the consequences of such rendition of colors. Although MFD has some drawbacks consumers from such cities as Nottingham, London, Bristol, Manchester, Liverpool declared the device to be a good assistant for home use. It is a comfortable and well-designed model. It is a good choice, you will not be disappointed. Carton Weight (lbs)	33.4 lbs.